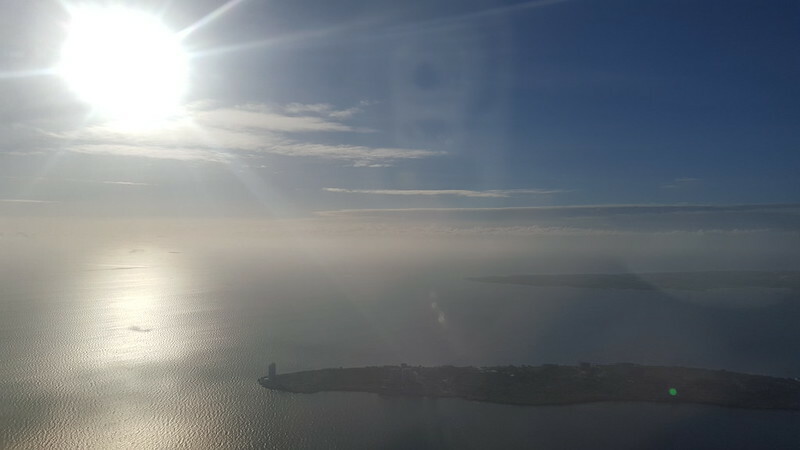 I don’t know if you have noticed, I’m slowly increasing my posts about travel. It’s not something I planned deliberately. It’s just happening on its own. I remember when I was still hosting F and Urban Zone, I refused a lot of offers to travel. I couldn’t bear leaving my kids even for a few days. But now that they’re a bit older, I have slowly allowed travel back into my work. I can’t do it too much, lest they start protesting and I start feeling guilty. 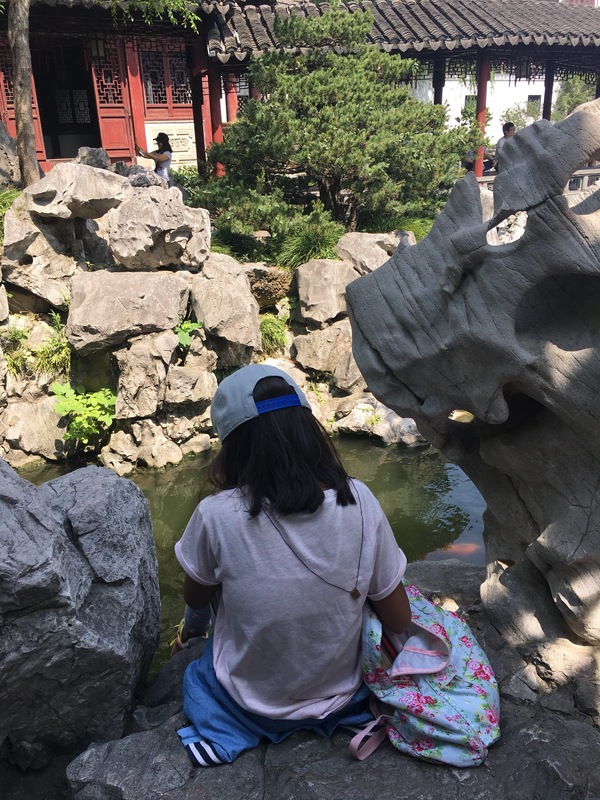 We also try our best to make sure the kids get a grand travel adventure every year – whether to a local or foreign destination. And whenever we can, like every couple of years, Patrick and I try to travel JUNK (just us, no kids). 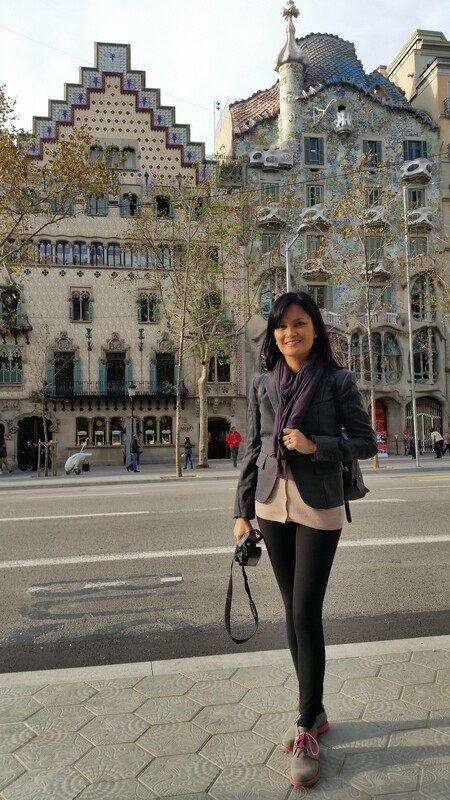 Last December 2014, I had the chance to film little travelogue snippets for Lifestyle Network. 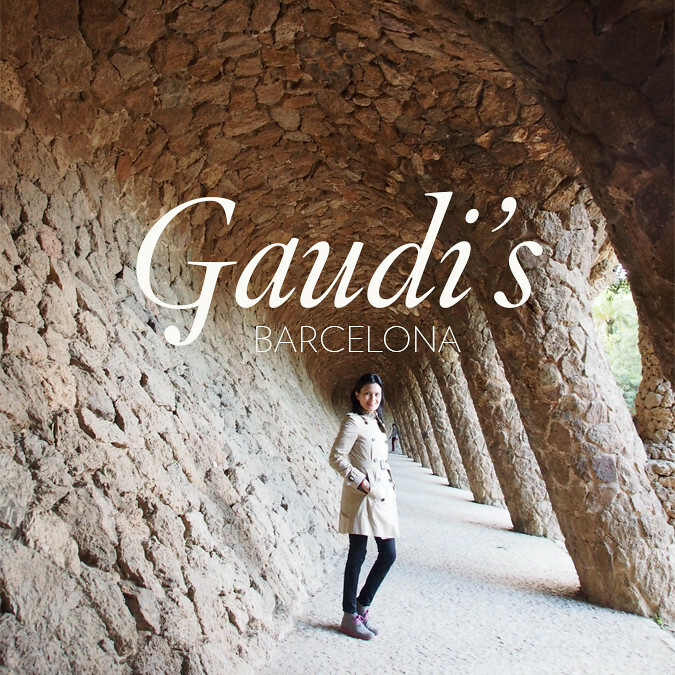 They flew me to Barcelona for a week. 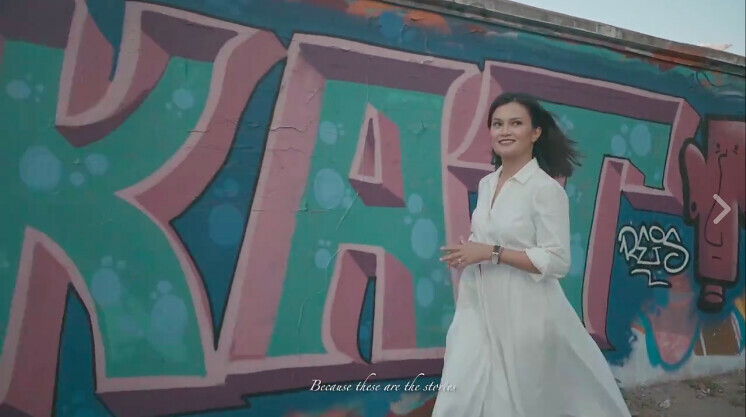 There are a couple of interstitials that ran on Lifestyle Network last April. On my part, I filmed my own video diary. The stories are now called DAPHNE Diaries. In case you missed it, here’s the one I made in Barcelona. 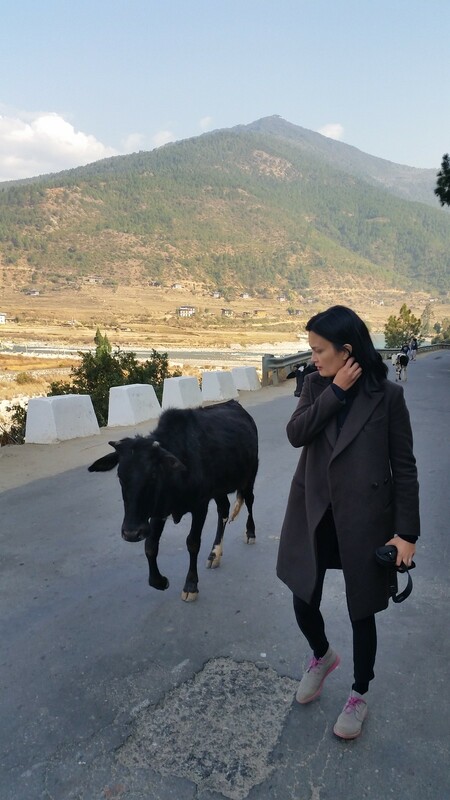 And from our “JUNK” trip to Bhutan, I edited some videos. 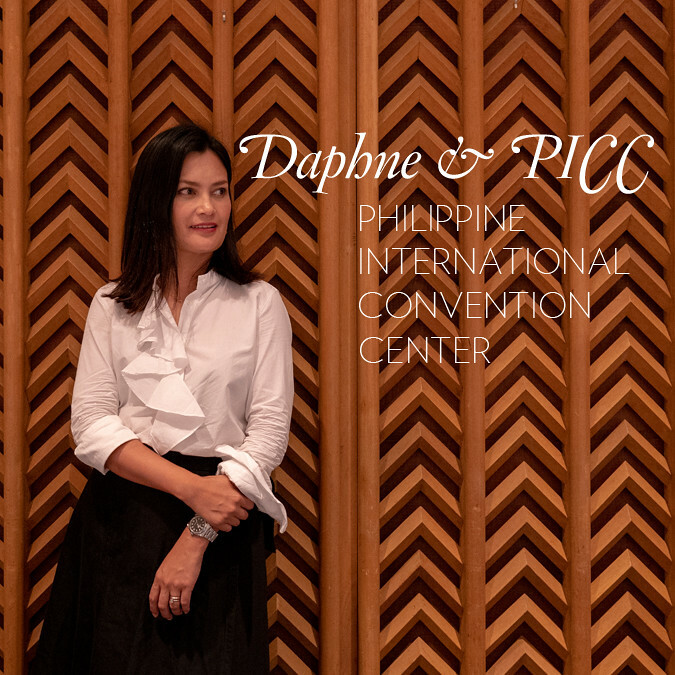 You can view them in my Daphne.PH YouTube channel. There are more videos coming, promise. I looked back at some of my recent travel photos and realized that I haven’t really shared much about my trips to Canada. Whenever I am there, I just want to savour the moments with my family. And there’s no time to blog too much. But there have been some amazing spots we went to in Canada. And I’m ready to write about them soon. 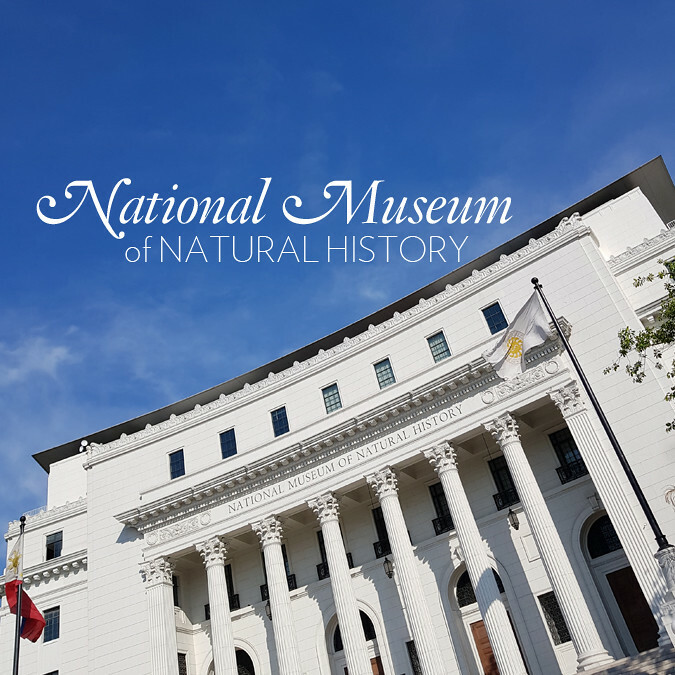 Here are some photos from our recent family trips and some from my work trips. You will notice a lot of fashion repeats – blue blazer, black leggings, puffer jackets, Burberry trench coat, chukka boots, sneakers. I’ll be traveling again in a few days, and I have packed the same exact things. I have no problem with repeating. Before all these fast fashion brands came in, I invested in good quality clothes. So I don’t really feel the pressure to keep changing them every season. 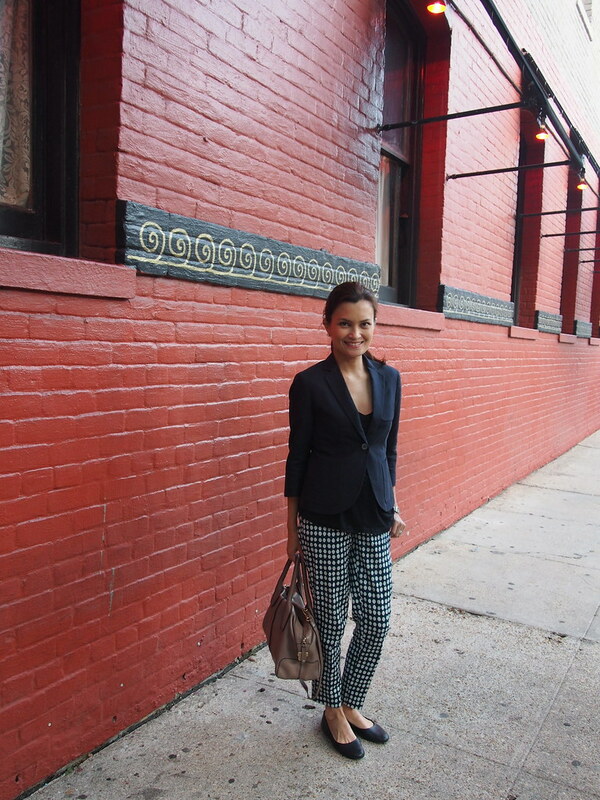 Even if it means my instagram photos may look like I’m wearing the same things over and over. When I’m traveling there are many things I do not want to busy myself with — my outfits for instance. This is why I travel with basics, neutrals, and most importantly, sensible shoes. I also always prepare myself health-wise. Health insurance is a must. Even if my credit card company says I am covered etc, I still buy a separate supplementary health plan. My friend once had to pay $2,000 just because her kid has a stomach ache which thankfully turned out to be uneventful. But goodbye $2,000. I also make sure I boost my immunity by taking multivitamins with iron and zinc. The last thing you want is to catch a virus while you’re on a plane. 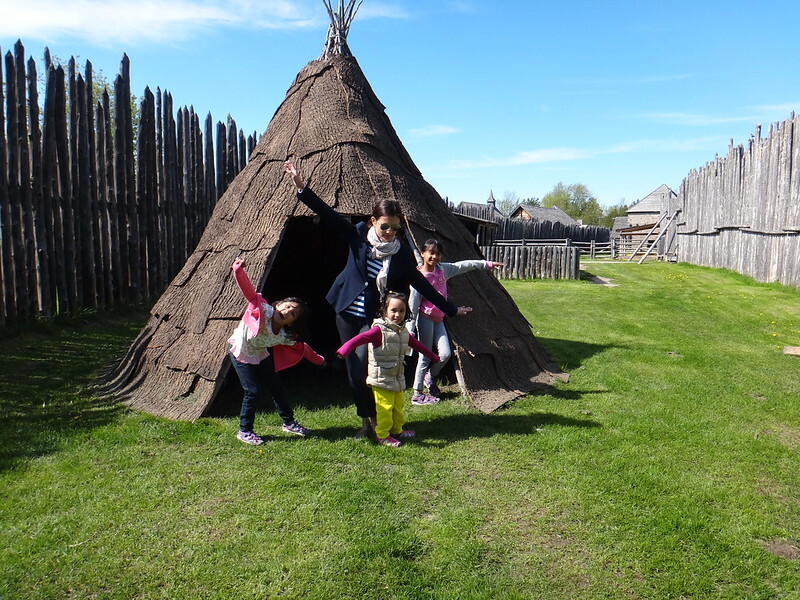 Sainte Marie among the Hurons, in Midland, Ontario. Not exactly my favourite place when I was a teenager. But now that I am a mom, a trip to Toronto isn’t complete without going here, a couple of hours north of Toronto. My kids love it. 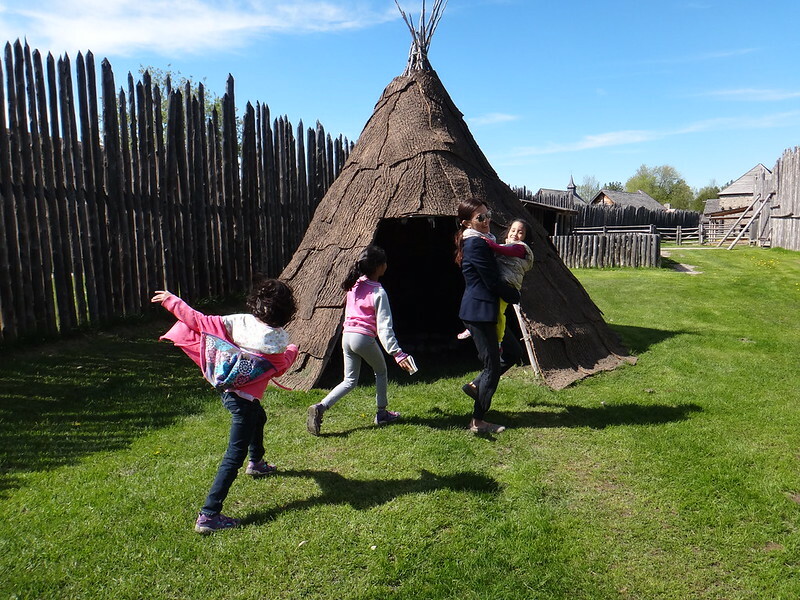 It is a recreation of the 17th century settlement by the French Jesuit Mission in the land of the Huron Wendat people. This was Ontario’s first European Community. There were parts of the fenced community that included areas for the Native People. Here’s one of the teepees. And yes, my girls and I were running, hopping, skipping, and dancing. 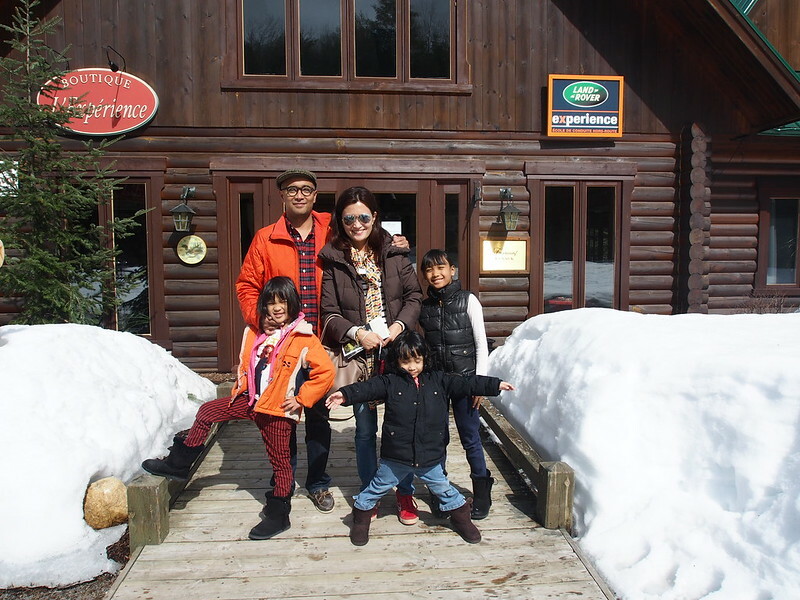 This was the time my whole family drove to Montebello, Quebec. Snow was still thick. Whenever I’m home I feel like a kid again because I get to sit in the back of the family car. And my mom and dad take care of me. Haha. The reception cottage at Kenauk, a nature reserve with 60 lakes and only 13 chalets. My family reserved the biggest chalet. It was beautiful — facing a frozen lake with no neighbours in sight. Kenauk is managed by Fairmont in Montebello, Quebec. So it was roughing it but with glamour. We stayed for three nights. 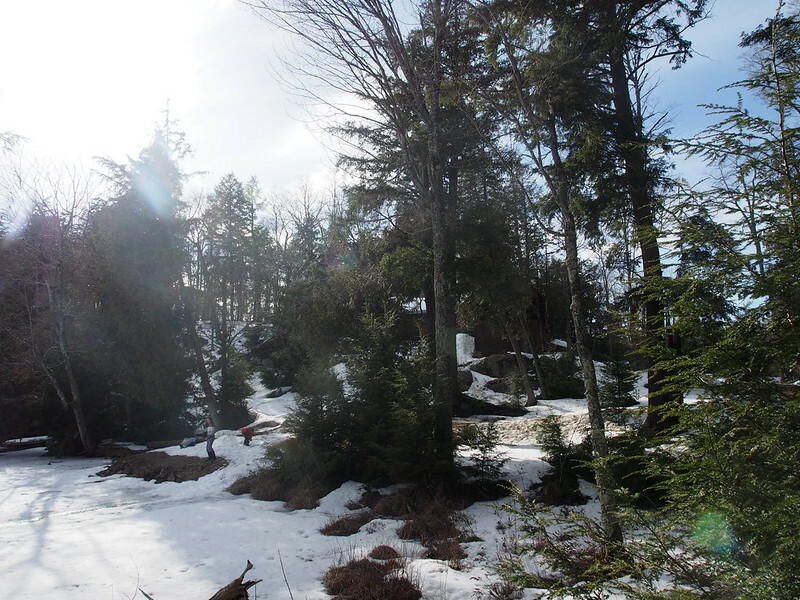 That is the chalet we rented, behind the trees. Can you see it? The kids loved exploring the woods. I promise to blog separately about this trip. This is the frozen lake that faced our cottage. This was springtime in Quebec. I didn’t bother using fancy boots. I just wore rubber rain boots and used two layers of thermal socks. The snow was starting to melt. One of the many highlights was the sugar shack experience. 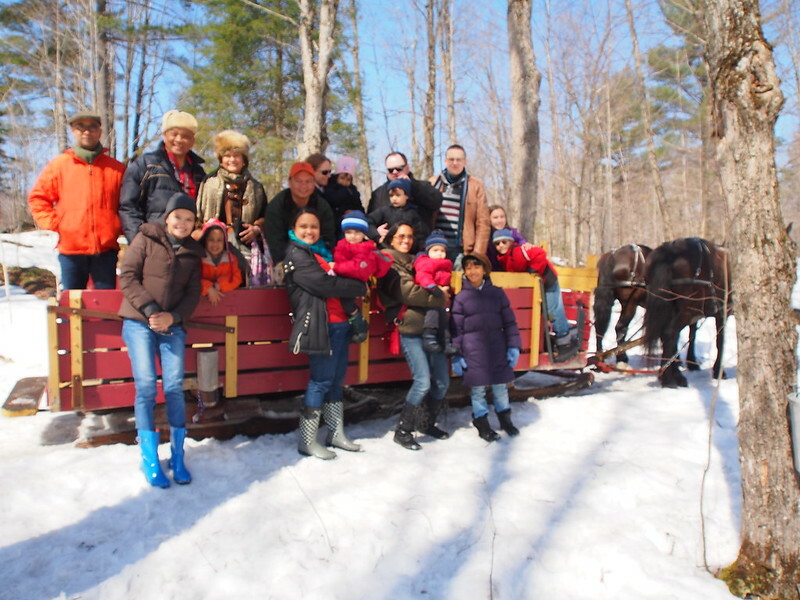 We took a sleigh ride through a maple forest. 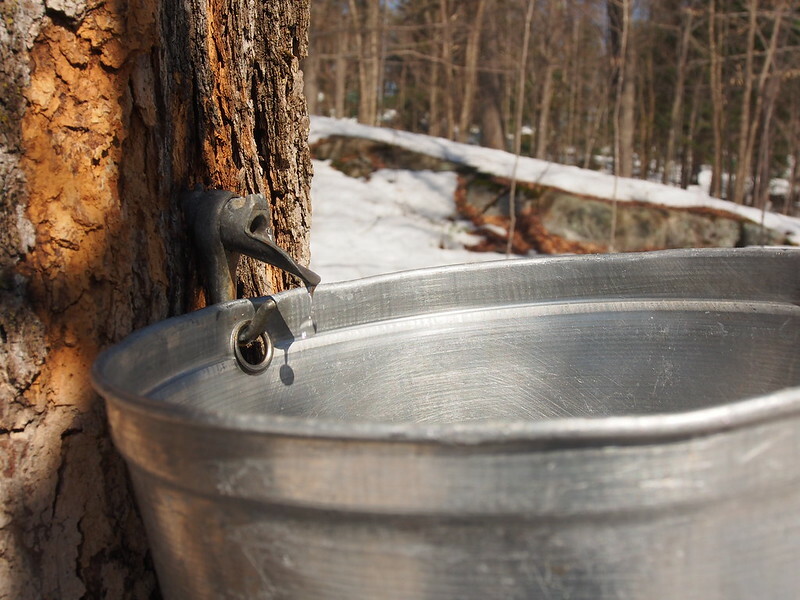 This is how maple syrup starts… as sap from the maple tree. This is why we got the biggest chalet. We were complete. Selfie in my second home with my favourite sculptor Henry Moore behind. My first real job was here, at Toronto City Hall. 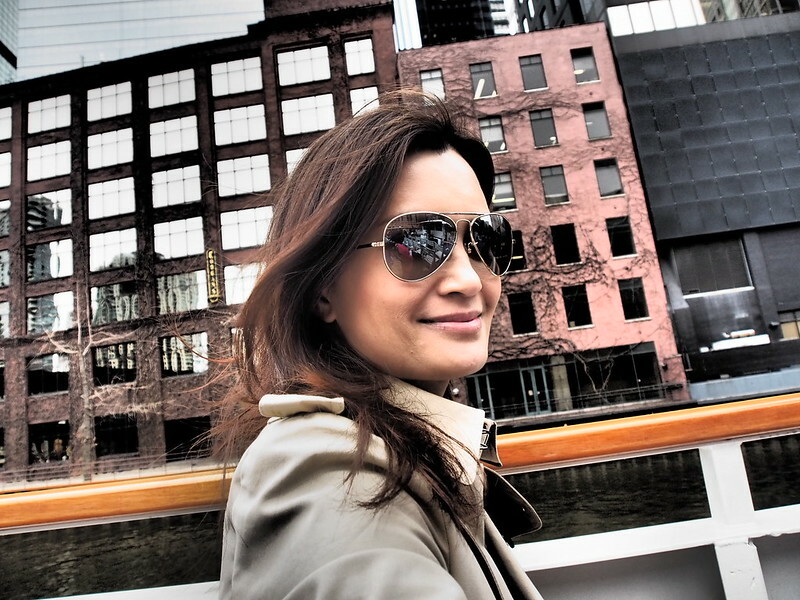 And there’s my tried and tested Burberry trench coat and Raybans. 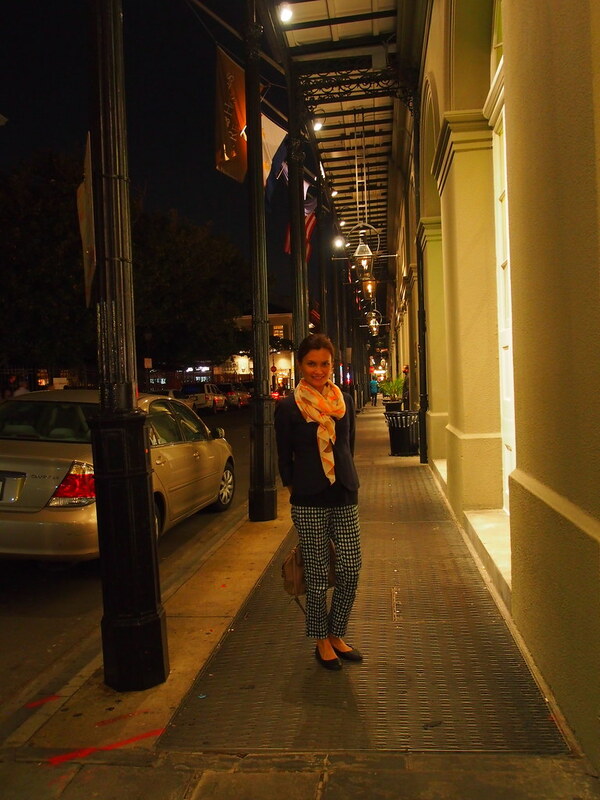 That same time when we were in Toronto, I flew down to New Orleans for a work trip. It was a trip that would take me to New Orleans, Chicago, and Wisconsin — from almost summer to late winter in the woods — I travelled light and just made sure I had layers and warm clothes. My favourite fall back is the blue blazer. It goes with anything. And I always make sure I have a scarf in my bag. 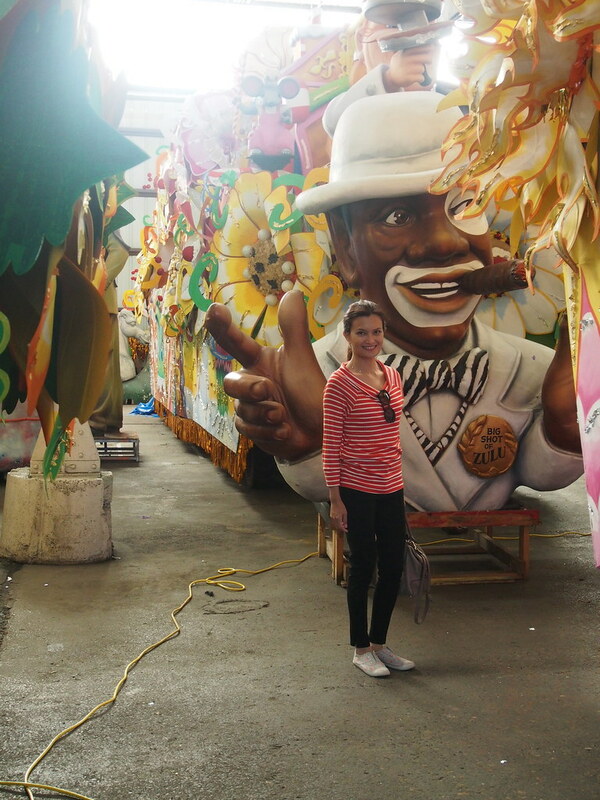 In New Orleans, they showed us the warehouse that held all the mardi gras parade floats. A bit creepy, but fun. On work trips, even if an event calls for casualness and comfort, I try to look neat even though I spent no time thinking of my outfit. I do this by wearing sensible black leggings (not too tight, they are legging pants), clean sneakers – like these plimsoles from Cath Kidston, and striped shirts. Then we went to Chicago. I had some free time one morning and decided to take the river boat cruise across the city alone. No one in my group wanted to go, but I went because it highlighted Chicago’s skyscraper history. 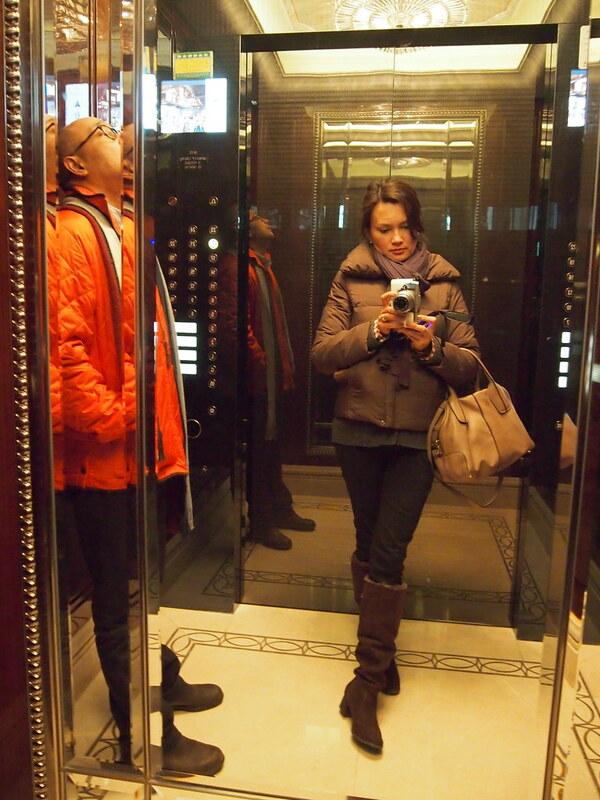 The downside of traveling alone is you end up with selfies like this. 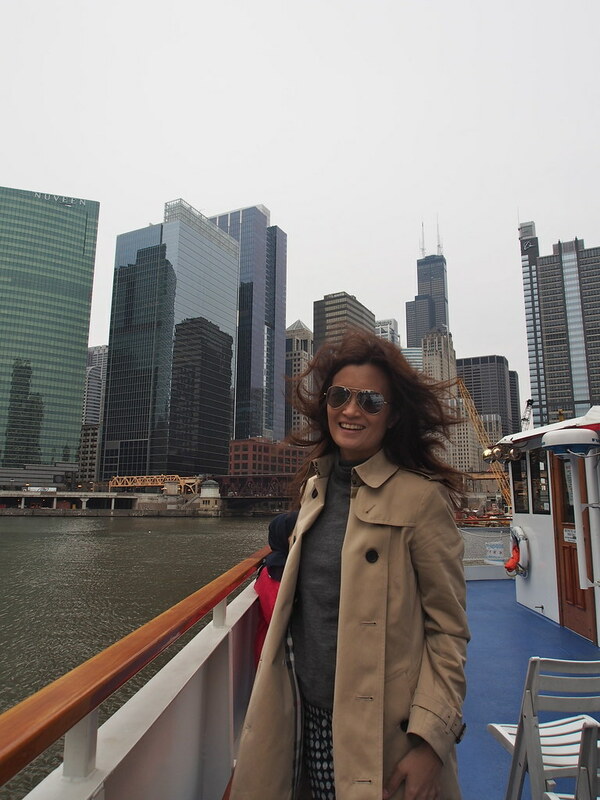 Here I asked a stranger to take my photo and ended up with the perfect “windy city” shot. Here is the trench coat again. It’s a light one with no heavy lining. But I find that with a thin feather down layer underneath, it keeps me real warm. Best fashion investment ever. This was back in 2005 when we only had one kid – Sophia. We left her in Toronto with my family. It was a wonderful second honeymoon. Even back then I wore comfy shoes for traveling. Those were my beloved Camper bowling-style shoes. My coat was from J. Crew. It was nice and classic. I recently sold that in my garage sale and I think I regret it. In milder weather, like we had on our last day in Barcelona, the best travel outfit is again… black leggings and a fitted blazer. This was from the Martin Margiela line in H&M a few years ago. Because someone will ask, those are my chukka boots which I bought in Wisconsin. They are so comfy. 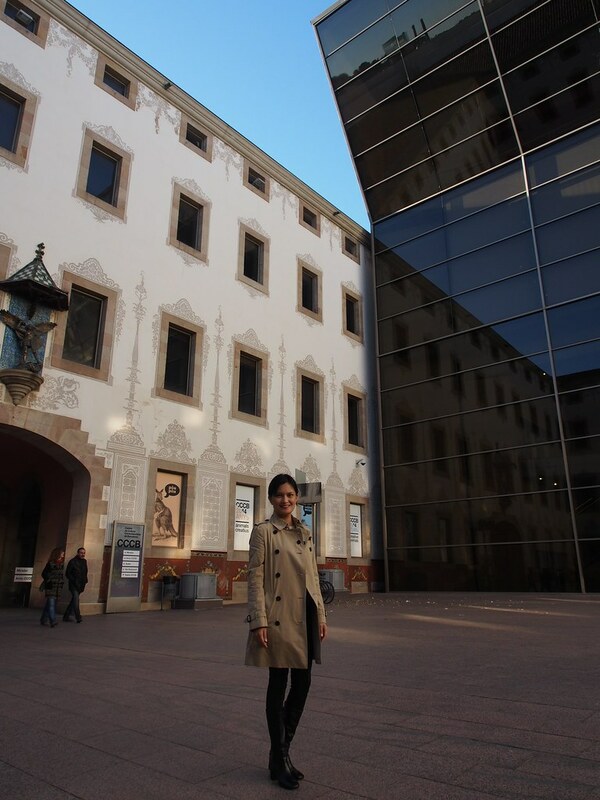 Wearing my Celine leather boots in Barcelona. Very comfortable because of its stacked heel and square toes. But I was too paranoid to scuff them. I bring them to wear on fancy nights out when I feel like wearing a skirt. But it’s not the kind of boots to go roughing in. Much to precious. And I doubt I’ll ever find beautiful boots like these because they are narrow enough to fit my skinny legs. Here’s what I wear when “roughing” it. 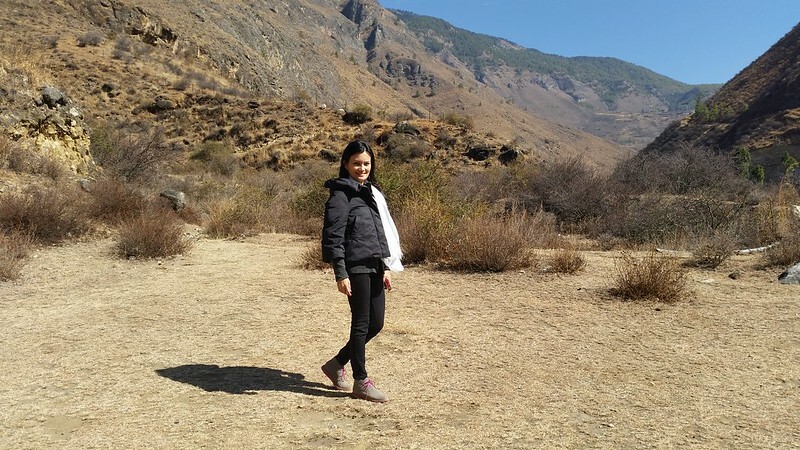 This was in Bhutan last February. Need I say it again – black leggings, chukka boots, puffer jacket. And a coat from the most recent season of Uniqlo with their Jil Sander collaboration. Also in Bhutan. I think you get the drift. I stick to the tried and tested classics. I go for comfort and ease. And I really prepare for trips. I’m actually now on my way to New Zealand. It’s my first time. The trip involves urban, rural and VIP meetings. You already know what I’ll be wearing. Haha. Black. 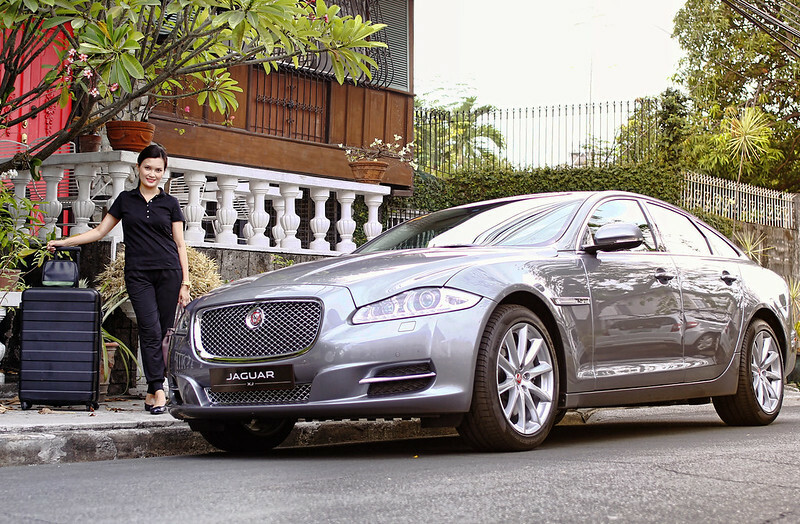 For this trip, we are doing everything in style and comfort. I was treated by Conzace to a luxury car ride to the airport. As you can see, I keep everything monochromatic – black. So I don’t have to think about matching whatever. I also made sure I strengthened my immunity by drinking multivitamins with minerals like Conzace daily. I also packed enough for the trip. I will be outdoors a lot. Can’t wait to tell you stories about New Zealand! Stay tuned. 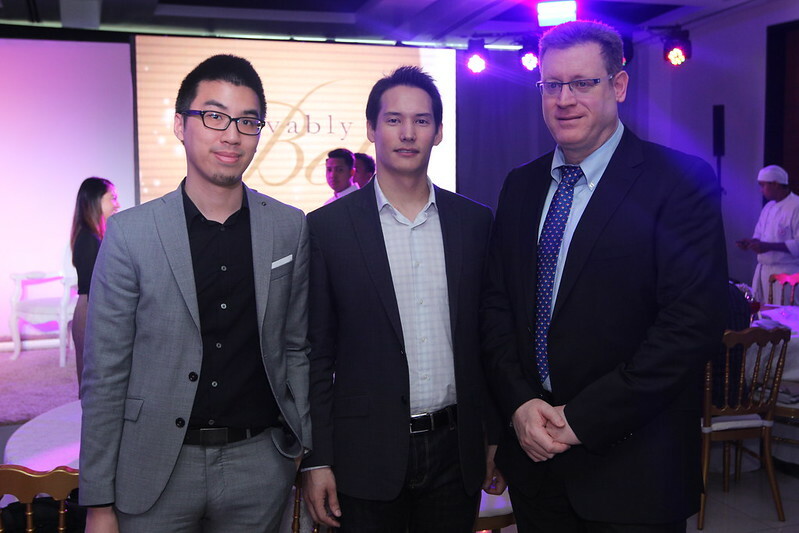 I attended the Belo Medical Group’s launch of Picosure a few days ago at Greenbelt’s The Residences. 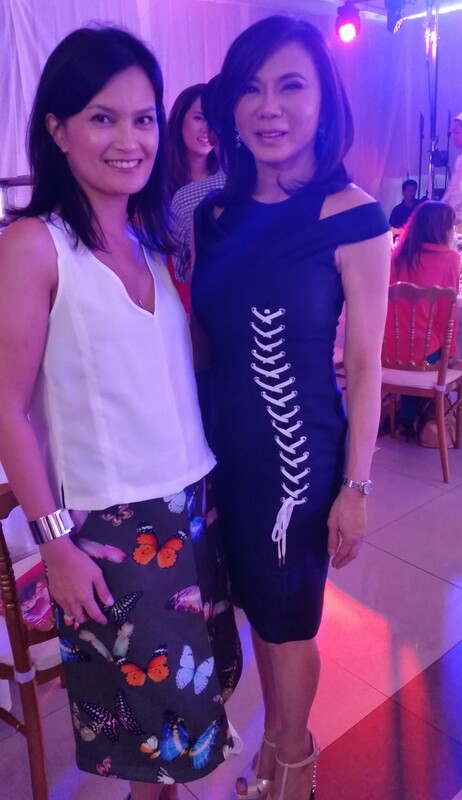 It is always such a pleasure to see both Dr Vicki Belo and Cristalle. I love their energy. No doubt, Belo Medical Group has been the leader in revolutionizing the beauty/medical industry for 25 years. Now they just introduced Picosure, the world’s fastest laser and the biggest breakthrough in laser technology. I love Dr Vicki Belo. She always compliments my skin when she sees me – “no pores, no spots, no makeup!” She always asks me which of her treatments I’m doing. And since I started going to Belo Medical Group in 2008, all I’ve been doing is a simple facial and Powerpeel. I used to go every two weeks (when I was still on TV). But now that I don’t have a regular show, I just go every three weeks. 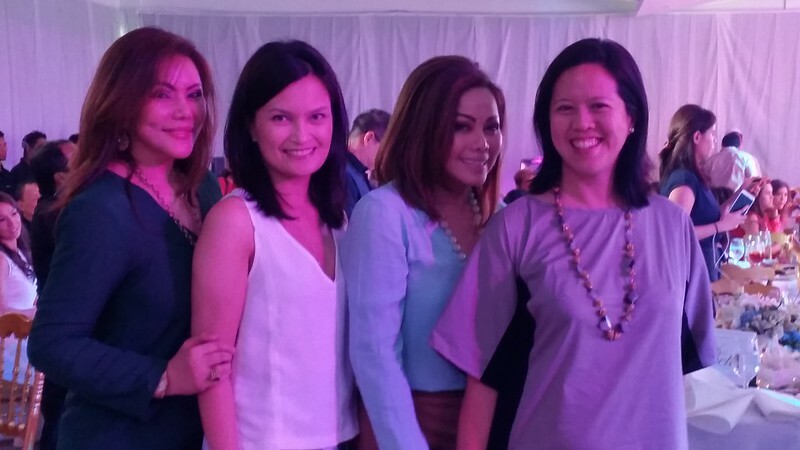 With interior design sisters Cynthia & Ivy Almario and Yvette Fernandez. 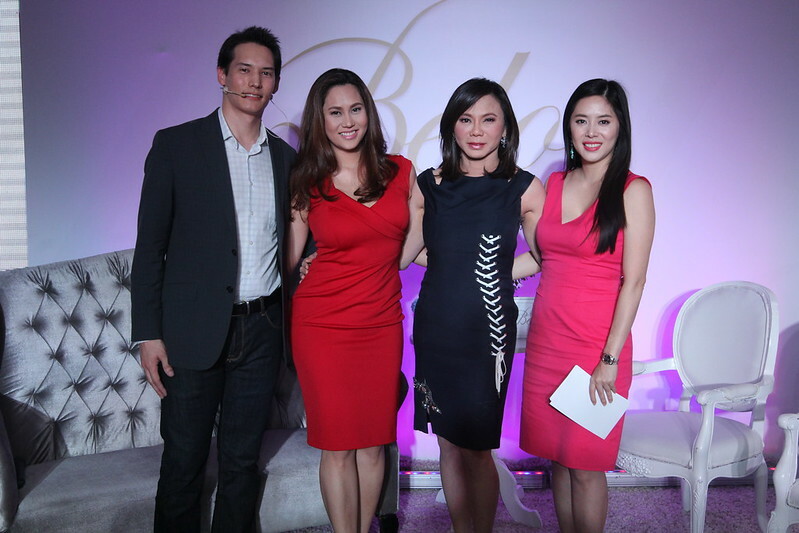 At the launch – Distribution Manager of Cynosure, Michael Byers, Cristalle Belo Henares, Vicky Belo, and host Grace Lee. 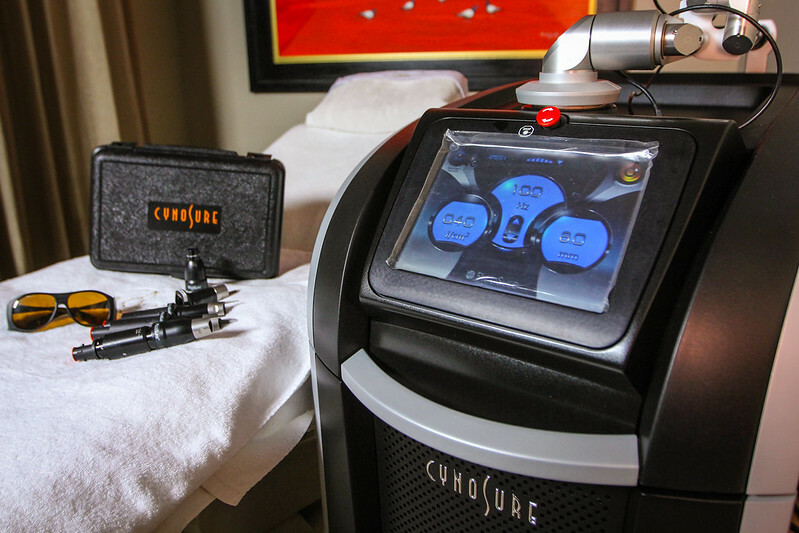 Picosure was introduced to the media by Michael Byers from Cynosure the makers of the machine. Dr Belo kept teasing him that he looked like Keanu Reeves. The crowd loved it. Michael explained that Picosure is faster than the conventional nanosecond laser machines. 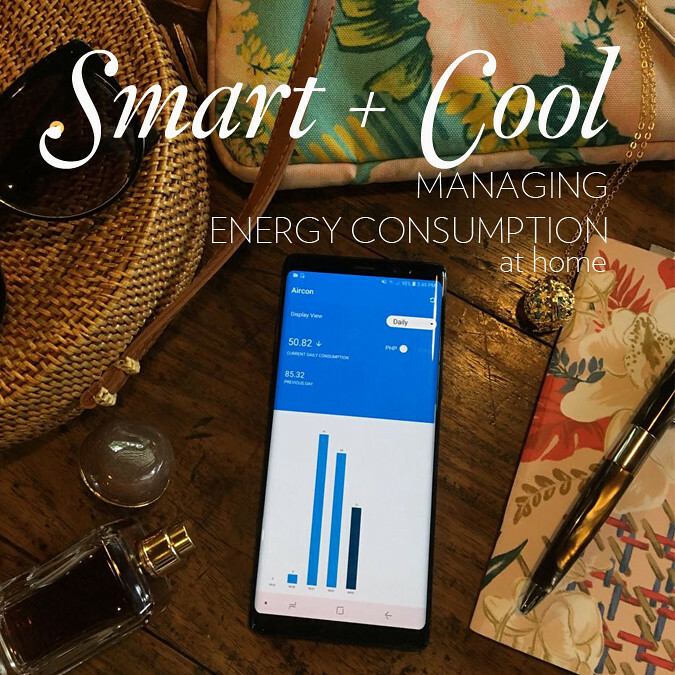 Operating in picoseconds, Picosure uses a patented technology called Pressure Wave which utilizes light pulses instead of heat that prevents damage on the surrounding areas of the skin. 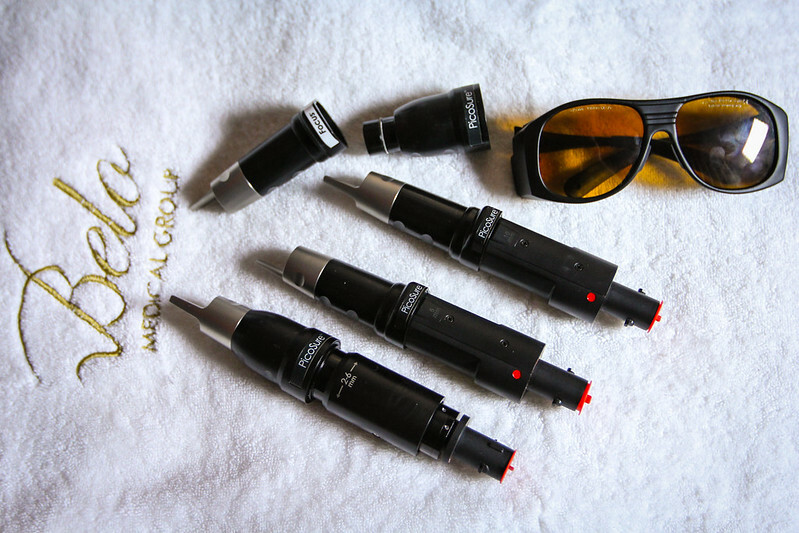 Picosure is best used for tattoo removal, acne scar treatment, removal of pigmented lesions and wrinkle treatment. This same technology makes it more effective in breaking down skin pigmentations, inducing collagen production for skin rejuvenation and improvement of acne scars. With Focus Lense, Picosure’s benefits become even more effective by concentrating light pulses through targeted areas in the face and neck. Also, tattoo is no longer permanent with Picosure. This beauty machine breaks down the stubborn pigments into sand-like property which makes it is easier to remove from the body. 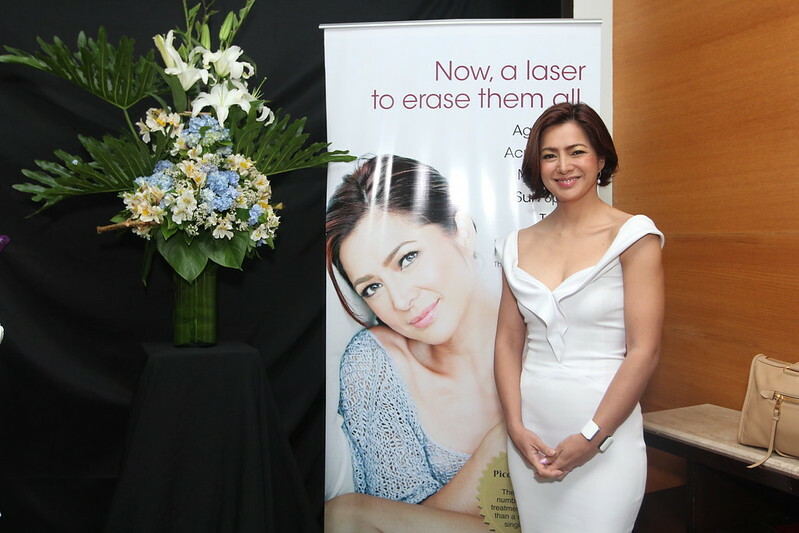 The face of Picosure is Alice Dixson, who proudly announced she was 45 years old. 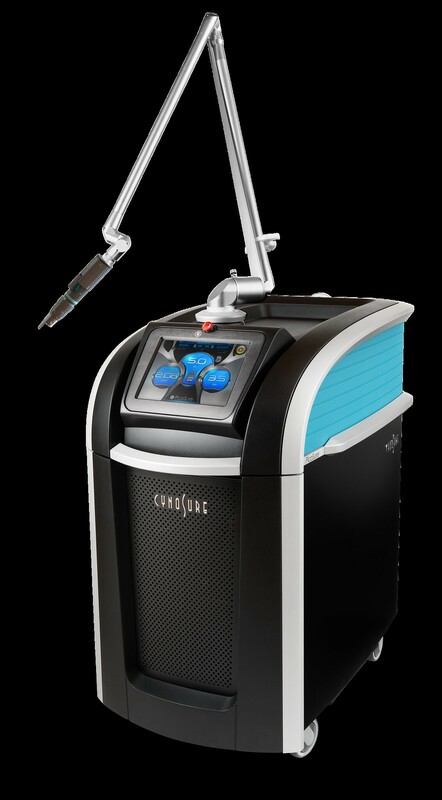 “What makes this machine so wonderful is that with Picosure, it requires fewer treatments. 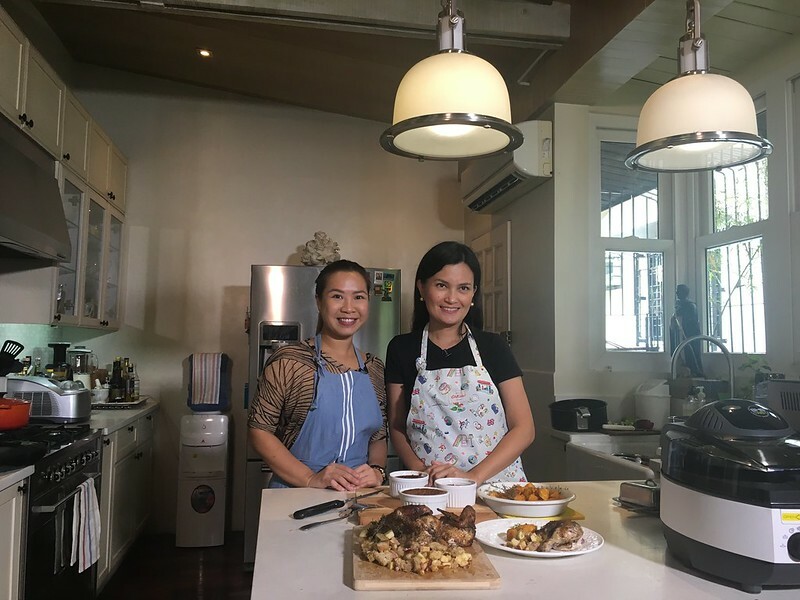 You can also combine it with Belo’s Collagen powder drink to help the skin become more supple and firm” says Cristalle Belo Henares. PicoSure’s ultra-short pulse duration goes beyond photothermal action creating an intense photomechanical impact, patented PressureWave™, resulting in greater disruption of the target for better clearance with fewer treatments, less fluence and without injury to the surrounding skin. Even dark, stubborn blue and green inks, as well as previously-treated, recalcitrant tattoos can be removed. Source. PicoSure laser focuses on your problem areas whether it’s brown spots, sun damage, freckles, pigmented lesions or acne scars. PicoSure offers a gentler treatment. In the past, lasers have relied on intense heat energy to remove pigment from the skin, which may be painful and lead to significant skin redness and downtime. Source. Traditional nanosecond lasers predominately rely on photothermal action, delivering heat to the pigment and surrounding tissue. PicoSure takes advantage of PressureWave Technology to shatter the target ink into tiny particles that are easily eliminated by the body. For more information on Picosure, check out www.belomed.com, Belo Medical in Facebook, or locally call 819 BELO (2356), US inquiries call 1-310 742 4843. 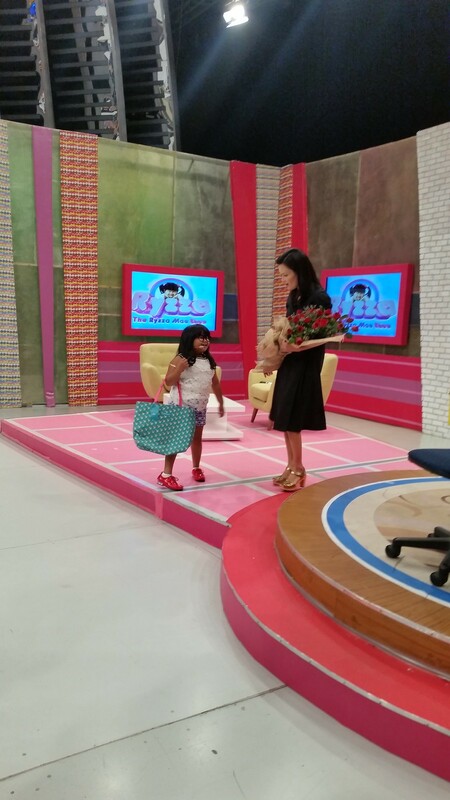 I got a call from the producers of The Ryzza Mae Show asking me if I would be ok to come in as a guest in the show. Without batting an eyelash, I said yes. 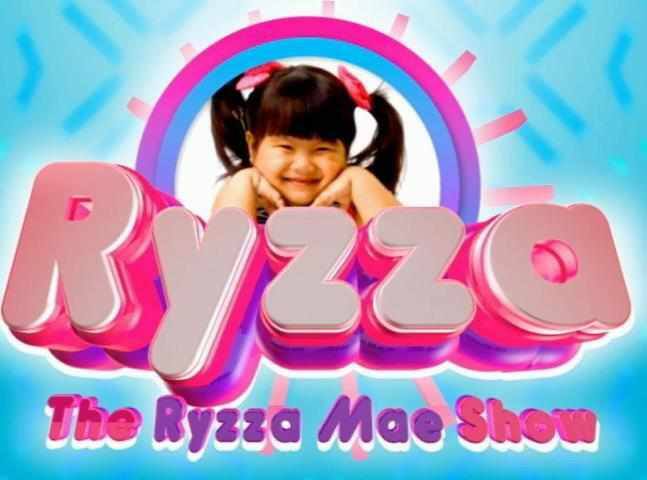 I had never seen a single episode (nor a clip) of The Ryzza Mae Show. I have to admit, my TV viewing habits have been reduced to just news these days — blame it on mobile content. So after confirming, I asked my friends what I should expect. They said, just go with the flow, she’s a riot, expect to dance, expect to take a selfie looking up. I didn’t have time to watch clips of her show on You Tube, and I decided the best way of doing this was just to do it blindly. 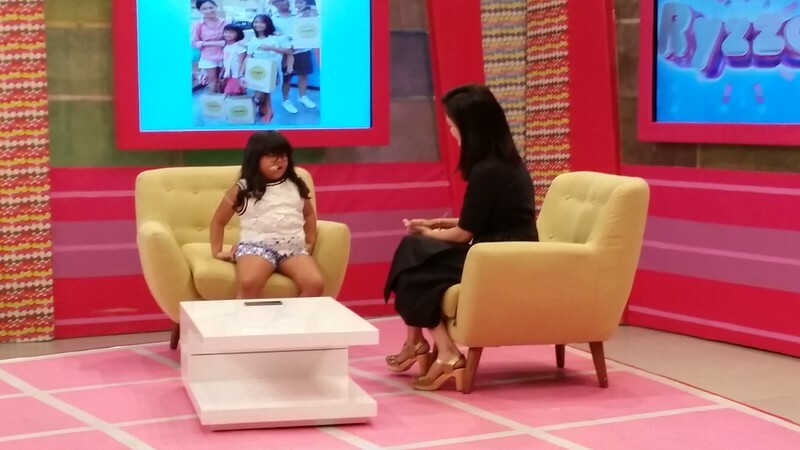 The producers asked me to give Ryzza some tips on hosting. But it’s been a while since I hosted a TV show, I figured, she should be the one giving me hosting tips now. Haha. 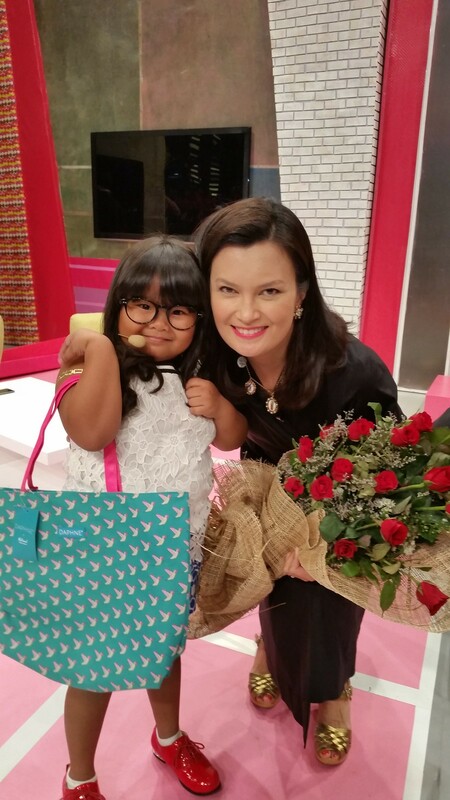 So I suggested that I just demonstrate some organizing tips for the home, office and school with Ryzza. 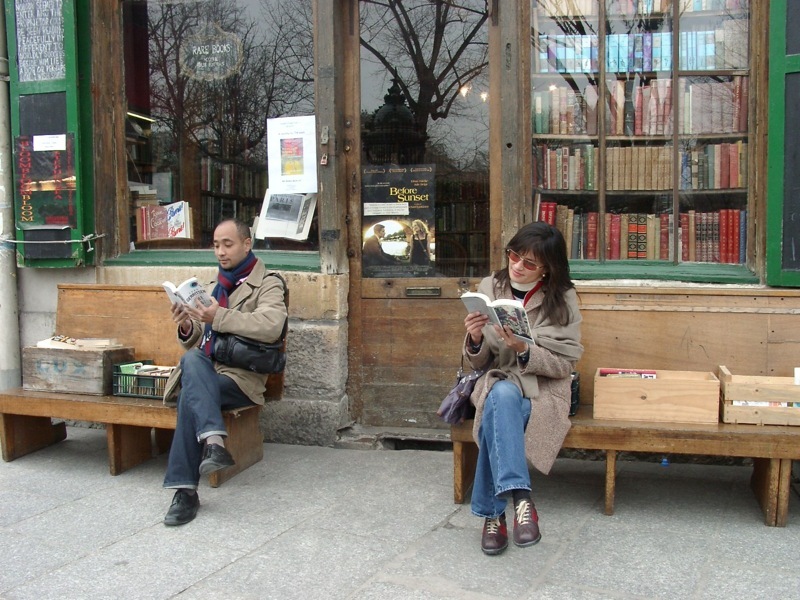 We agreed that I would bring my DAPHNE® & National Book Store products. Here’s how it went. You tube videos are below. 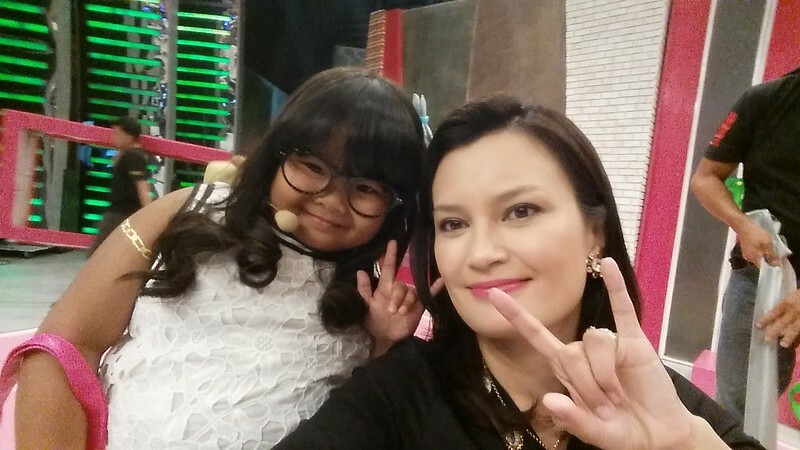 At the makeup room of the studios in Broadway Centrum, Ryzza approached me and said “Hi, po!” Then she took my right hand and put it to her forehead (mano). So sweet. 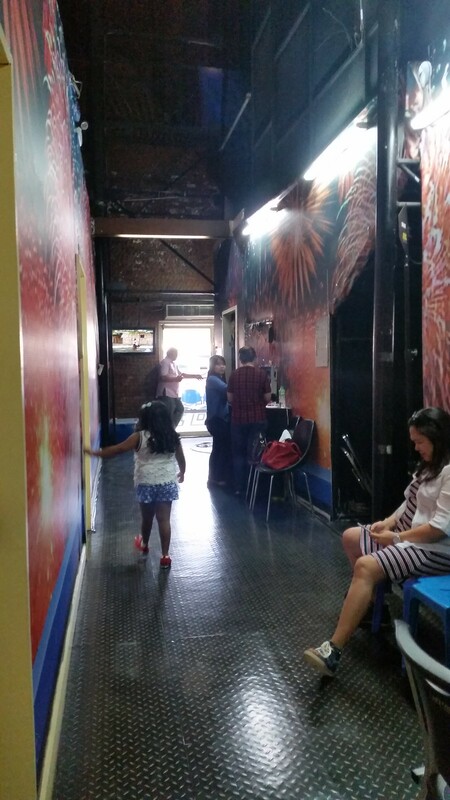 The dressing rooms of Eat Bulaga and The Ryzza Mae Show. 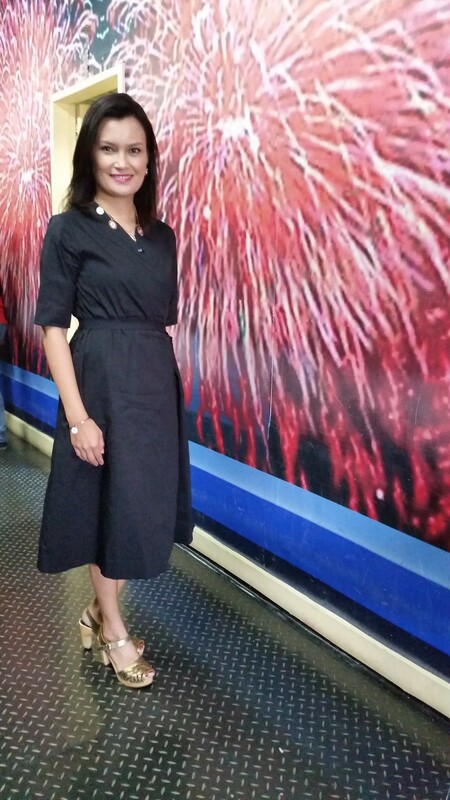 What I wore — navy dress from COS, necklace of my own design, dainty rose gold cuff from Cova, clogs. I was told to speak Tagalog then seconds before I went on stage, one of the writers said, “Speak English.” So I just did both. 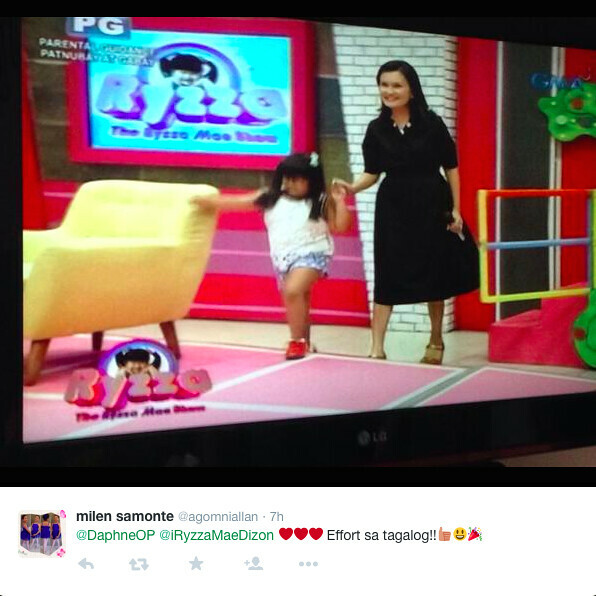 I showed Ryzza how to clean up a desk and organize a book shelf. I loved her reaction when I said that I was giving everything to her. She modelled my DAPHNE & NBS bag. 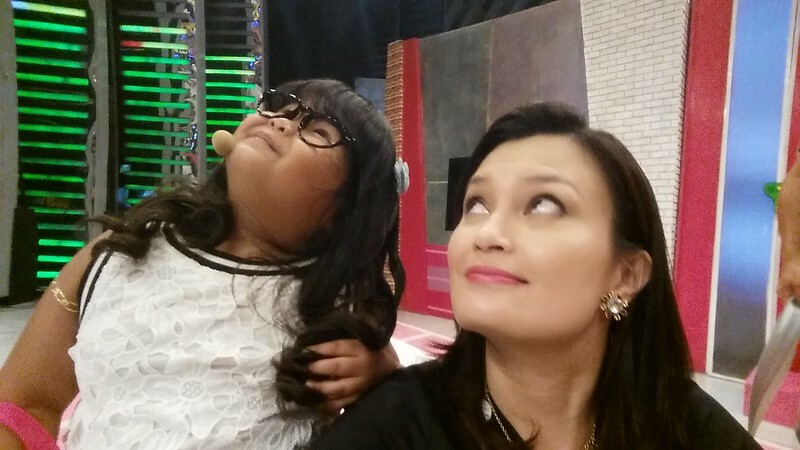 Ryzza Mae was witty and quick. She was so natural. I was told to do a selfie with a “look up” gesture. Apparently it’s her thing. And this hand symbol. I forgot what this meant. Something about being happy always. Right after the show, I checked my Twitter and Facebook and found a lot of reactions. All good. 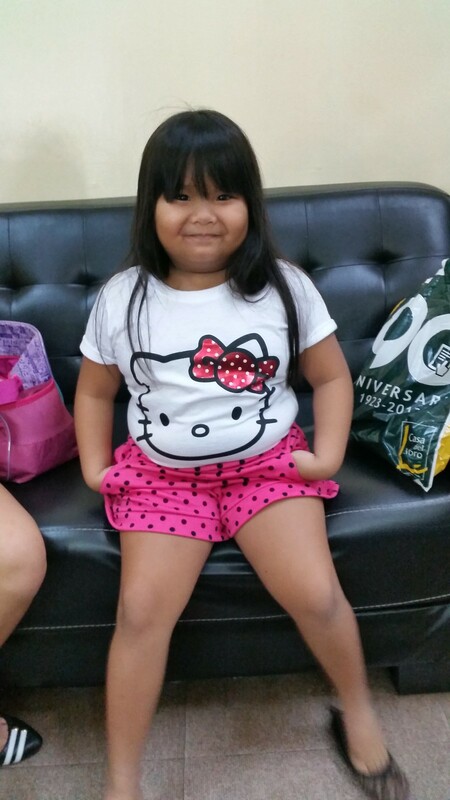 Thanks to Ryzza’s cuteness factor. 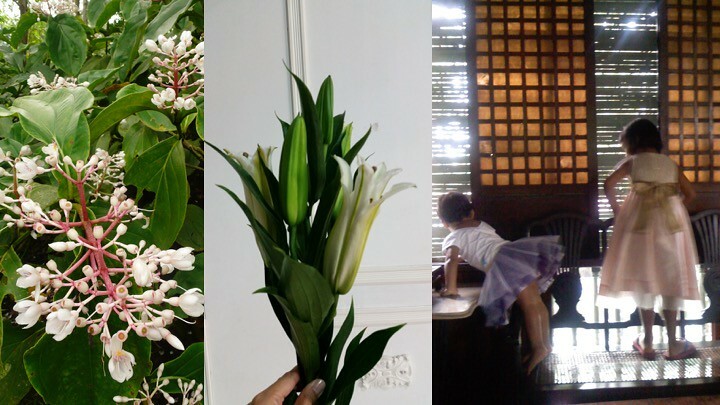 This collage was sent by Arvin Ecija Budlayan. We didn’t get to dance. The whole segment was so much fun. I kept laughing. And I really just wanted to keep hugging her. Watch her reactions to some of the things I said. Funny. 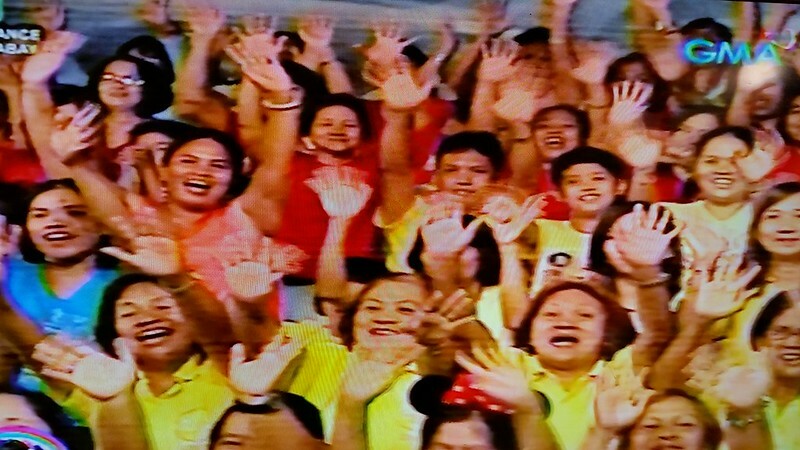 Even GMA News online picked up the highlights of the show. That night, we made it to the GMA Network news site, with the funniest headline. Click on photo to watch the funniest part of the show. 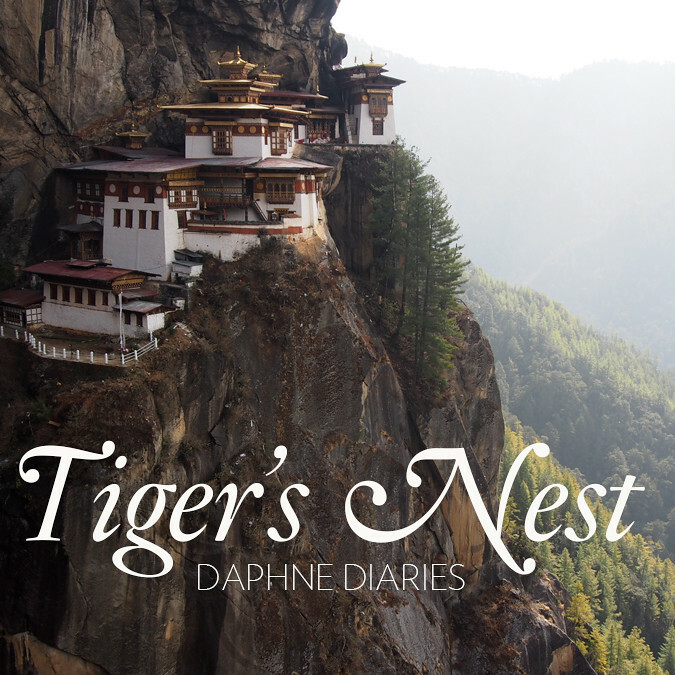 My new DAPHNE Diaries… from our February trip to Bhutan. 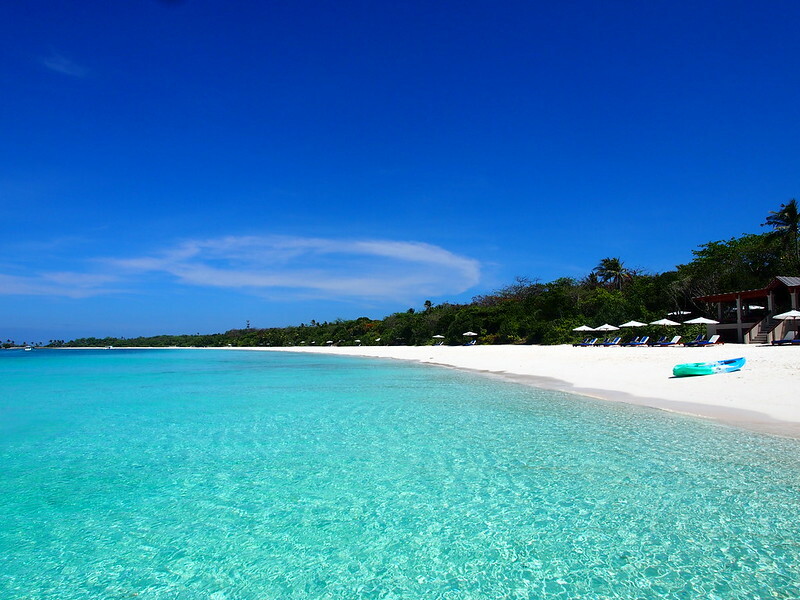 We took an 8 day package with Amala Destinations. On our last full day, we climbed up Tiger’s Nest Monastery. 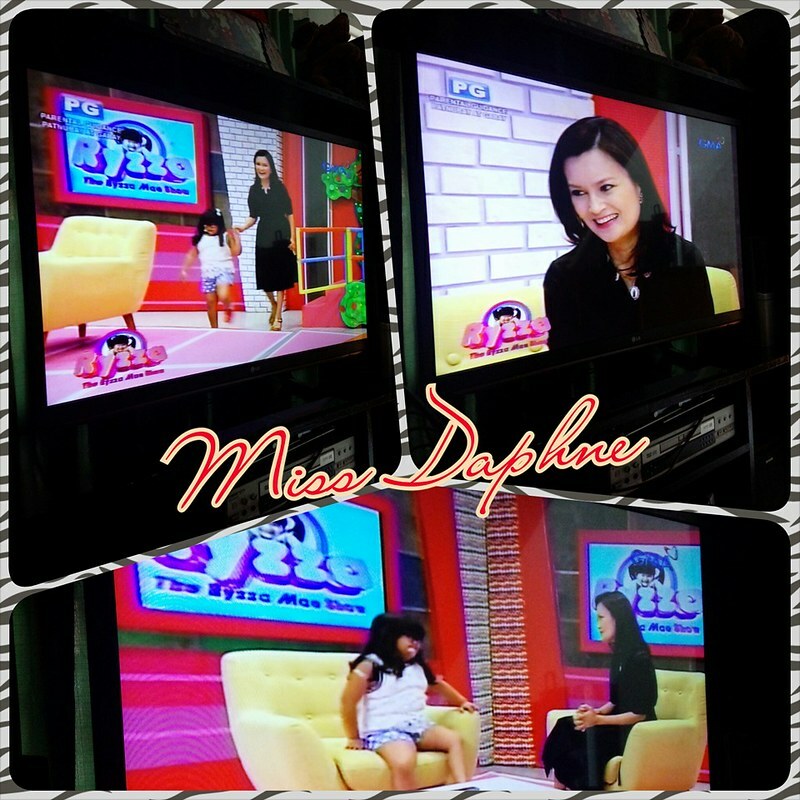 Please let me know what you think of the DAPHNE Diaries series on my YouTube channel. If you like it, please subscribe so I can make more. I’m open to suggestions. I was going through some of the Gingersnaps photos I had in my library and found old ones from when Sophia was still a toddler. 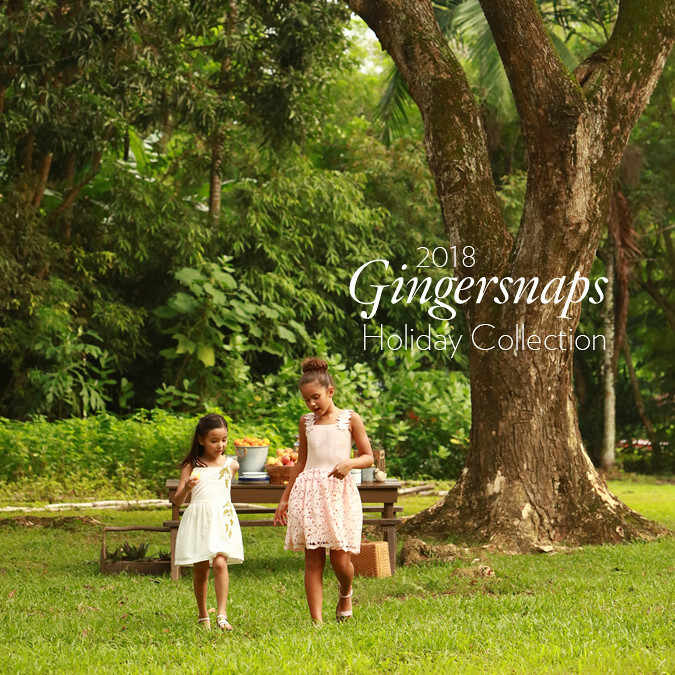 We have been wearing Gingersnaps so long, that walking into their stores feels like an extension of our home. The girls love their clothes up to now. Sophia is actually in the demographics of Just G already, but she still fits into the biggest size of Gingersnaps. Good thing she has no issues wearing the dresses. They are all so beautiful. When Lily was a few months old and Soph was around 3. 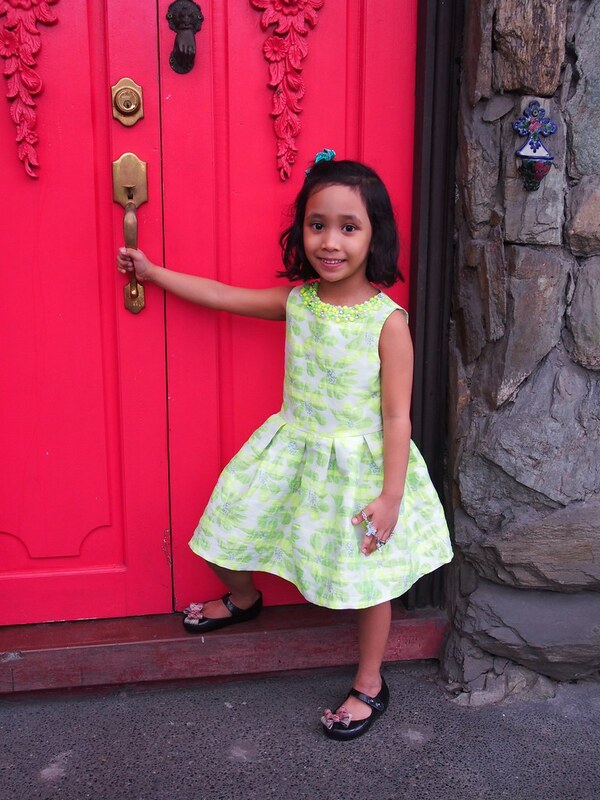 The same red door, with Stella this time. That dress was from December 2014. We love it every time Gingersnaps introduces a new product – the Mary Jane shoes, the strappy sandals, the handmade fashion accessories. This summer, we are crazy about Gingersnaps Pluggies. 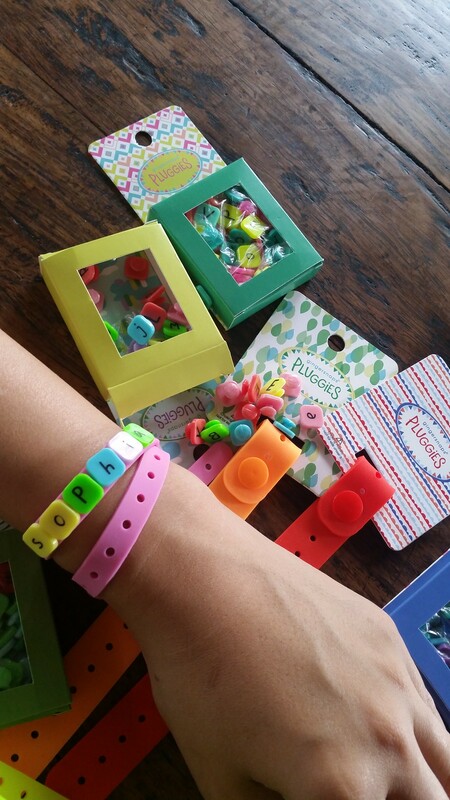 They are these different coloured rubber rubber bands that can be personalized by attaching the letter buttons on the perforated straps. There are different collections and themes such as Tropical Punch, Jewel, Sugar and Spice. 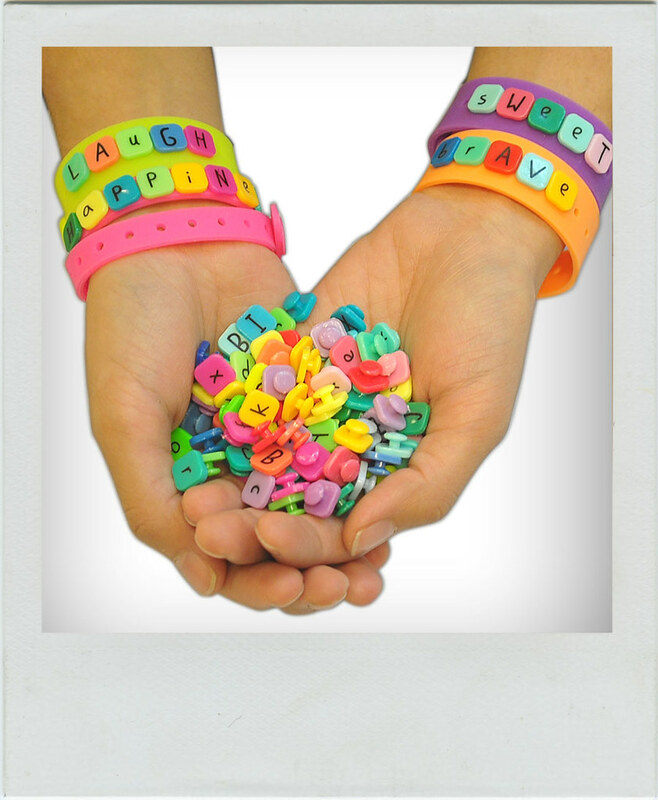 My girls have been making their own statement bracelets – names, moods, wishes. For the month of May, Gingersnaps is having a little Instagram contest. So if you’re up to it, you and/or your kids may have find this real fun! Simply snap a picture of your Gingersnaps Pluggies and post it on your Instagram, tag @GingersnapsPH and use #Gingersnapslovespluggies. 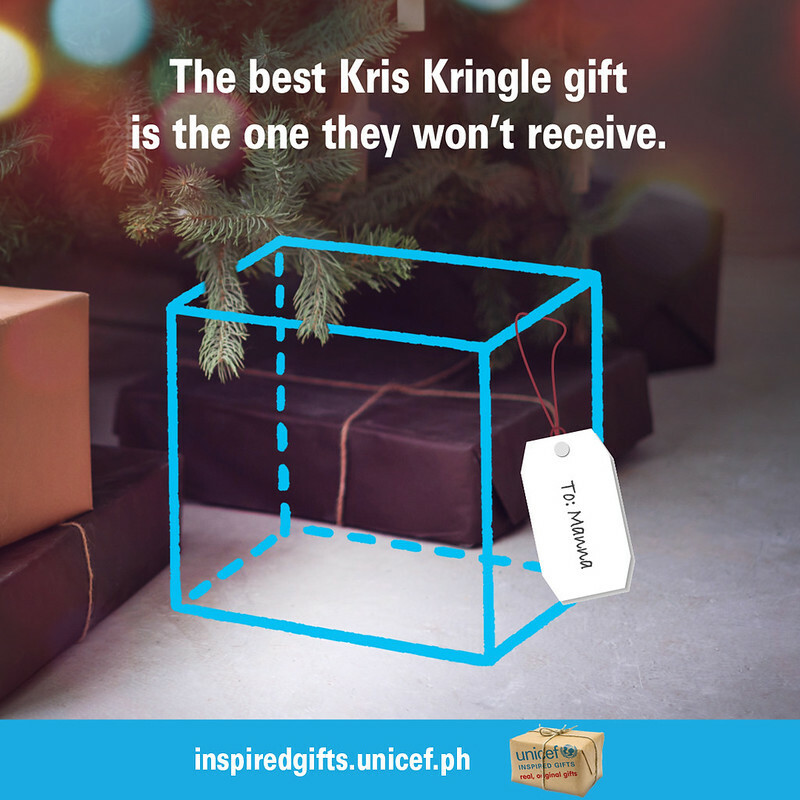 The best five photos will win P1,000 gift certificate. 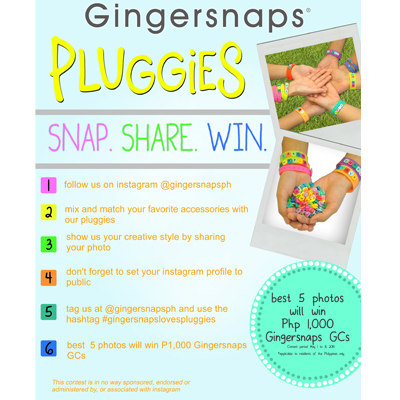 01 The Gingersnaps Pluggies Contest is open to all our instagram @gingersnapsph followers and residents of the Philippines only. 02 Each participant is allowed to submit one (1) entry. 03 Contest Period: May 1-31, 2015. 04 Five (5) winners will be selected by Gingersnaps Philippines management. 05 The winners will be announced on June 10, 2015. 06 Prizes are final and not convertible to cash. 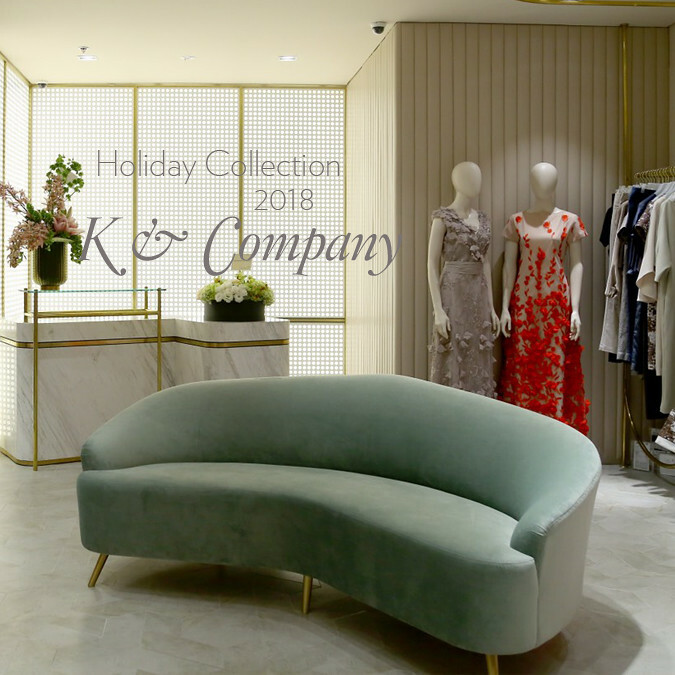 07 Employees, officers, affiliates, member of the immediate families (up to third degree of consanguinity) of Il Coniglio Bianco Corp. and its group of companies are NOT eligible to join this contest. 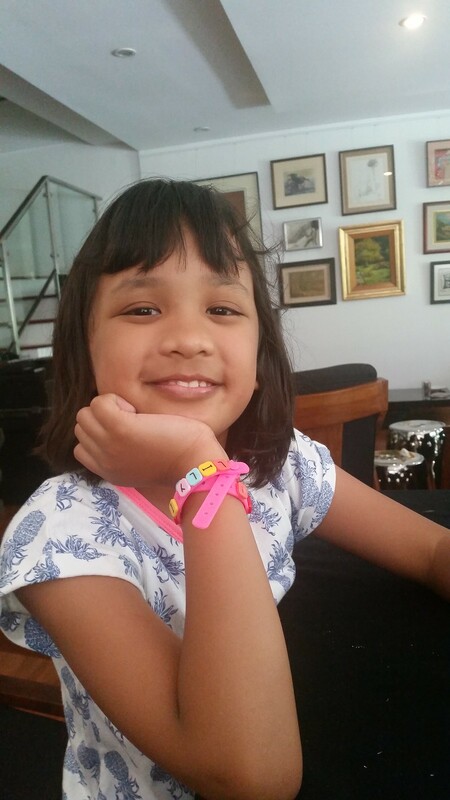 08 This contest is in no way sponsored, endorsed or administered by, or associated with Instagram. Gingersnaps Pluggies Bands are P99.75 per piece. The Plug-ins are P129.75 per pack. 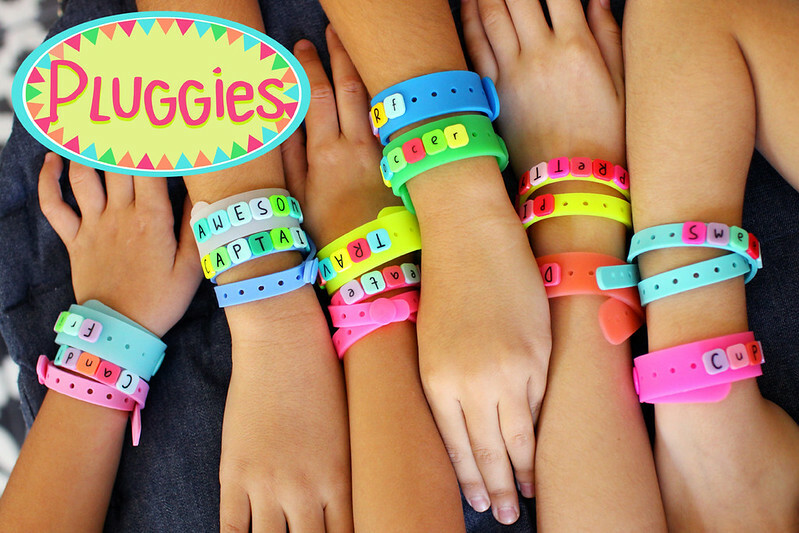 Lily’s Pluggies says “Lily is awesome.” That’s been her mantra all summer long. Go Lily! Copyright © 2019 Daphne ®.